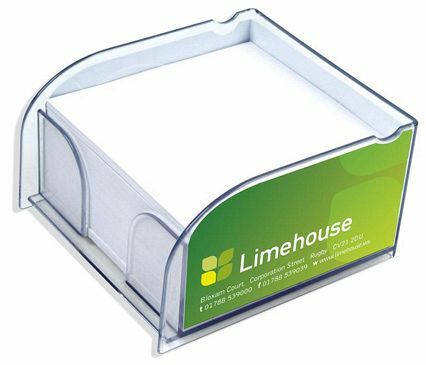 Distinctively styled, this new range of clear acrylic memo block pad holders feature a card insert sheet that can be printed in up to full process colour, offering exceptional branding and design flexibility. Each holder contains a block of approx. 400 sheets of quality white offset paper. This wonderful promotional giveaway is sure to make people sit up and notice your brand.